These are the lines by F. Burton Howard and that’s what comes to my mind when I think of Anjali’s love story. 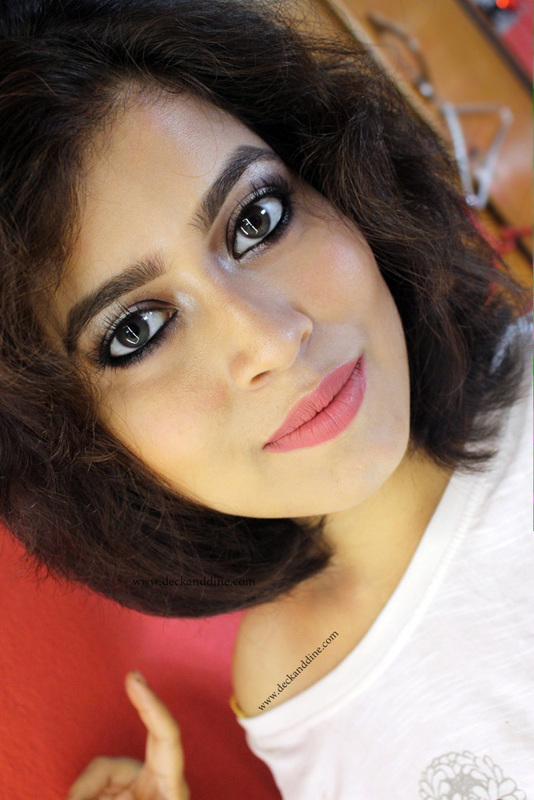 Yes, today on The Blushing Bride series we have a very pretty Punjabi kudi who had to go through a lot of struggle to marry her love of life. Life is not always easy, but that’s what makes us strong. Isn't? 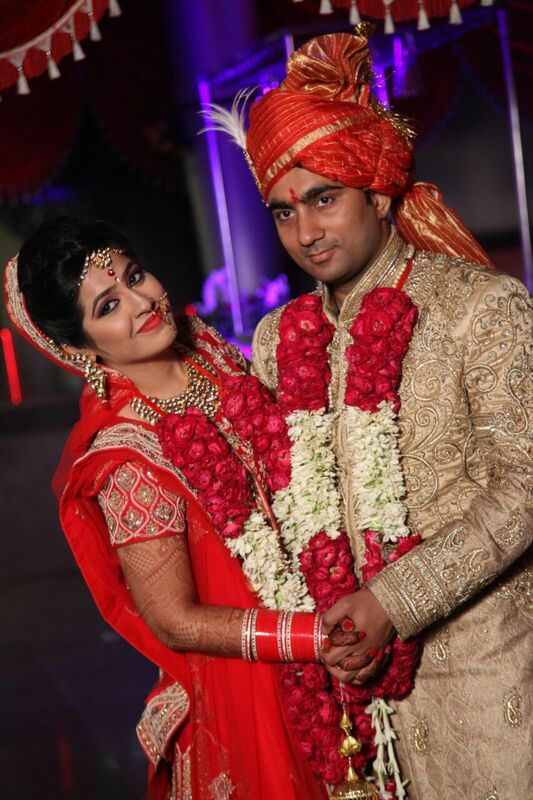 So welcoming the very pretty bride Anjali Arora on DeckandDine. We met on my first day of our college, he was senior to me, and was there to take ragging of me. We met in 2007 and after the college ended in 2011 we use to plan for wedding and used to dream a lot. 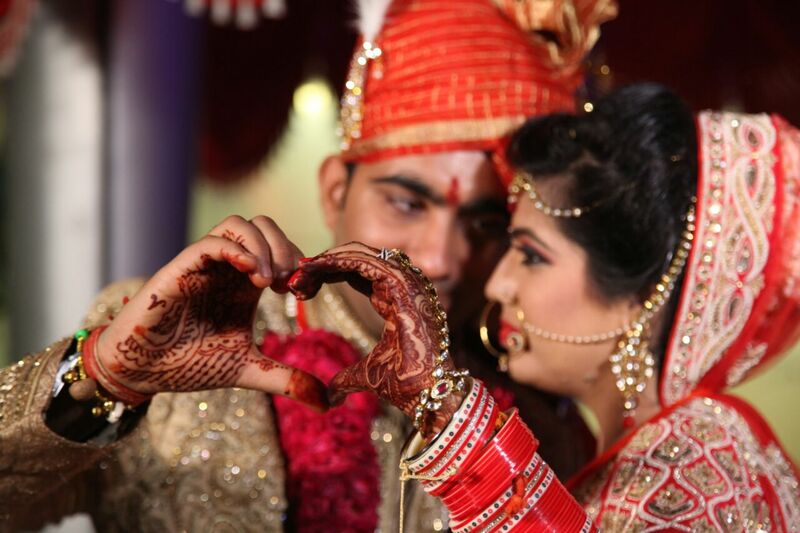 But as it was supposed to be totally an inter-caste marriage, it was actually a struggle for us. We started convincing our family for the wedding. But it took years to make my father understand and then finally agree. 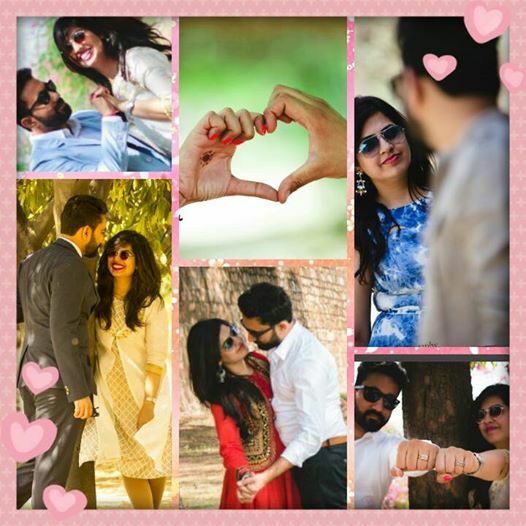 During March i.e on Holi he said yes and said to proceed with wedding preparations and I was spellbound. Can’t tell how happy I was on that day and finally exactly after 15 days we got married. I shopped mostly from Rajouri garden , Kamla nagar n Pitampura (kohat enclave). Actually mostly all trousseau suits were from Novelty Rajouri garden. 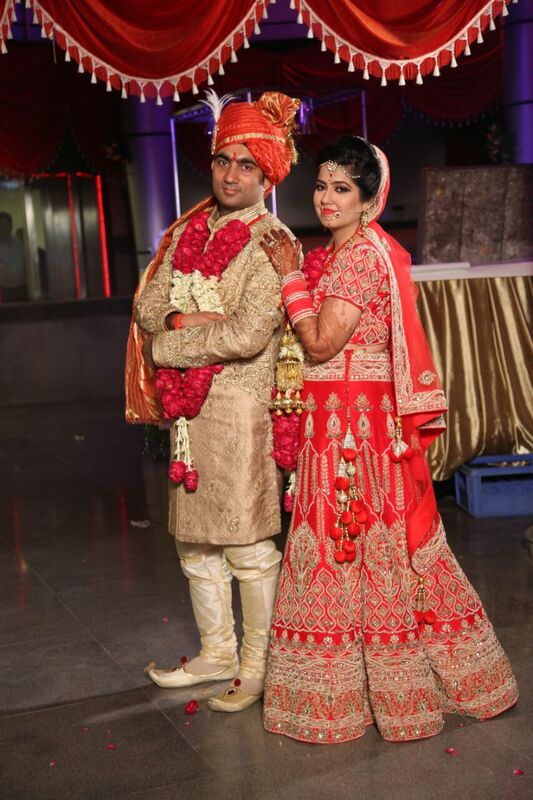 I took my bridal lehnga from Odhni –Pitampura, was totally satisfied and liked it at first glance. Bridal accessory I got it on rent from Rohini, Delhi; as it was too heavy and I knew I won’t wear it later. I got my makeup done from a freelancer. I never wanted to go for brand name instead I preferred the one who can make me look as I wanted to look on my day. 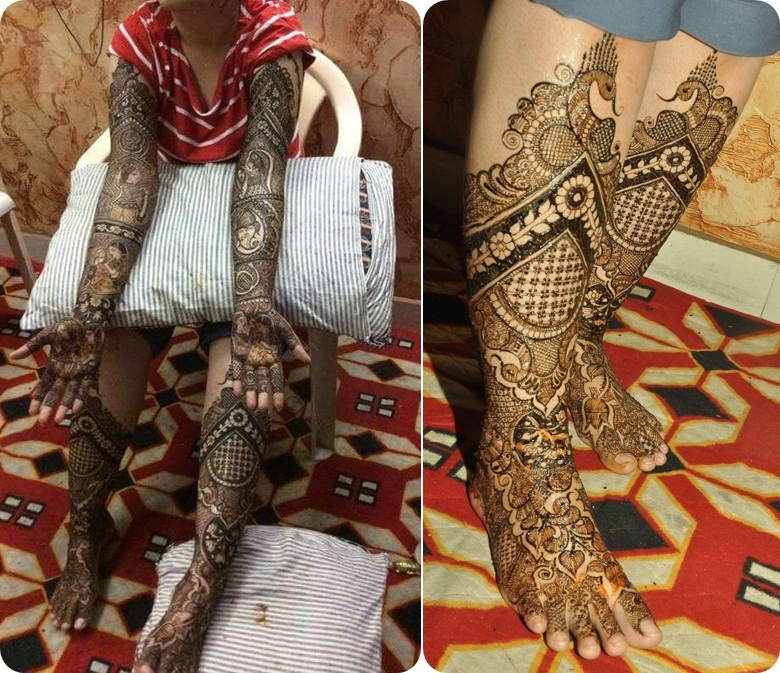 On one hand it had the dulha with jaimala and on the other it had the dulhan with jaimala. then there was the dulhan performing shiv puja, and the couple performing different wedding rituals. 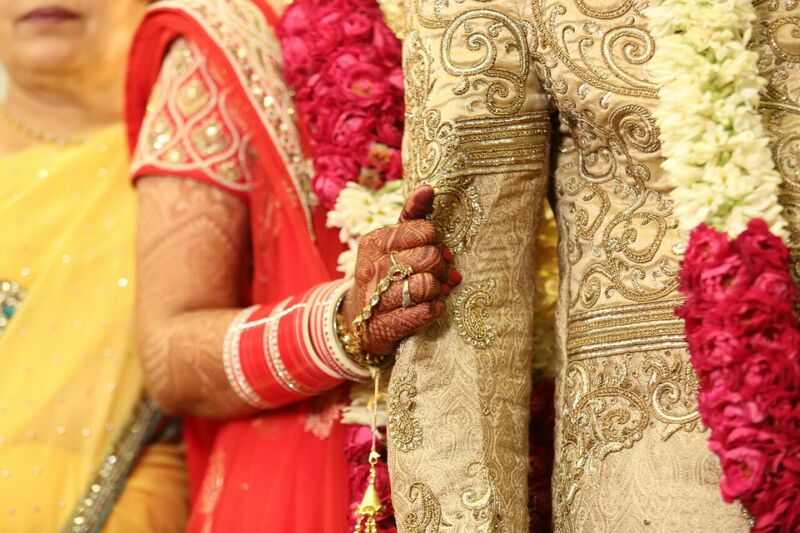 The whole wedding story reflected on her hands. 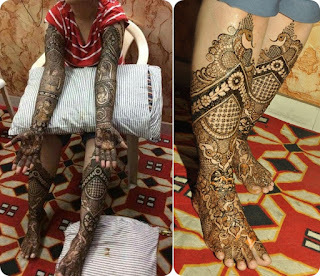 It took more than six hours to complete the mehendi. They covered all d candid and still moments..was more satisfied with the candid ones. Whole wedding was special, but the moment when he added up the maang and Magalsutra , it was the feeling and I was like I am completely yours. Especially for the bridal lehnga, don’t look for more options in market; instead go for the one which you like first at a glance. Instead of trying multiple shops and wasting time better visit limited places and get the one which you love at first sight. Anjali is the first non-Bengali bride who got featured in DeckandDine. I loved her look. 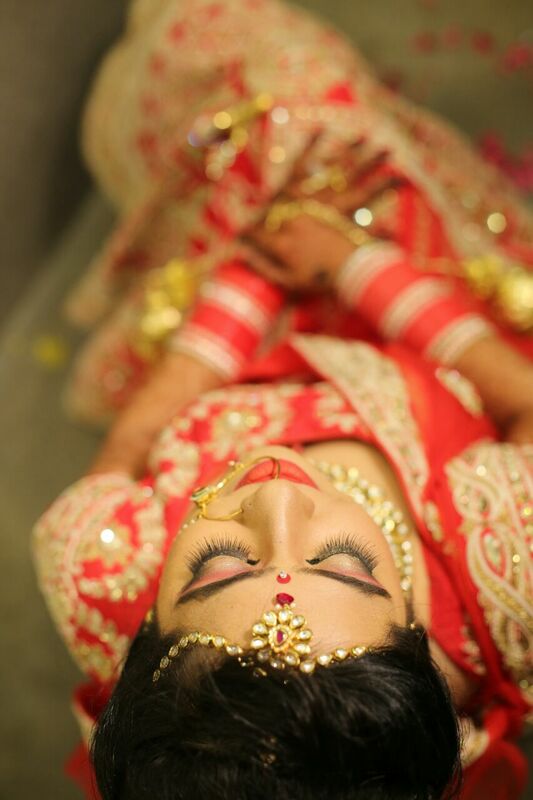 I had this preconception notion that Punjabi Brides means excessive makeup and way too blingy outfits. But this girl proved me wrong. I loved her makeup and her choice of accessories. 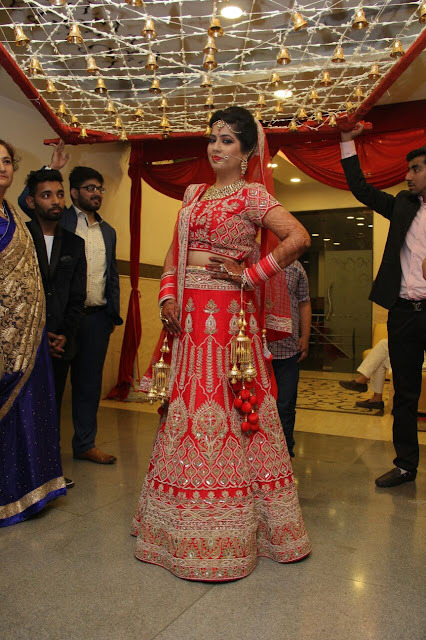 She let her gorgeous bridal lehenga do the talking. Loved her Punjabi traditional ‘chuda’ and ‘kalirey’ too. She looked beautiful beyond words. Loved all the pix on your blog, thanks for sharing. Whn u want something, all the UNIVERSE conspires in helping u to achieve it. Ur lv story is the perfect example for tis. 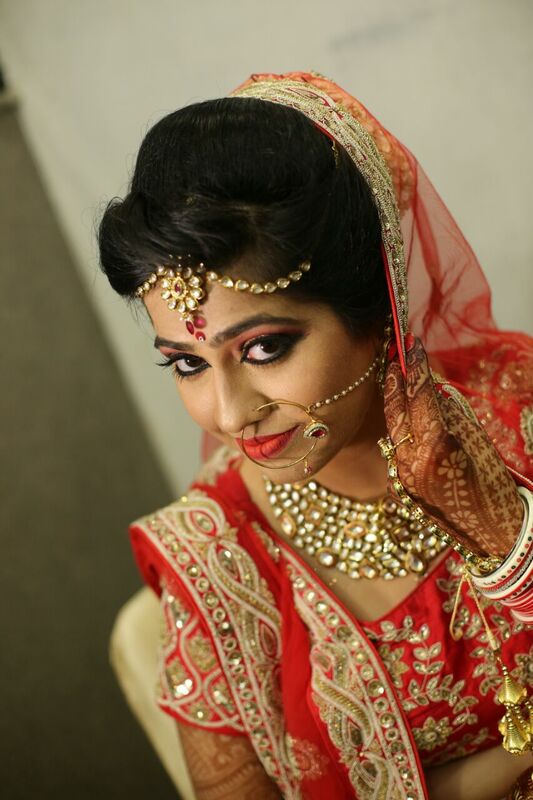 Anjali u r d most beautiful bride, I hav evr seen.. Lv ur subtle makeup...lv ur bridal luk..u luk stunning..
Nd may god bless d beautiful couple.